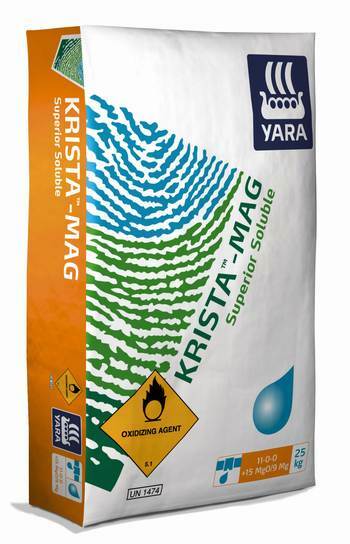 Krista Mag (11% N + 15% MgO) is a fully water soluble nitrogen and magnesium fertilizer. It is a free flowing fine crystalline powder which dissolves quickly in water without any residues. Krista-Mag is suited to application through all fertigation systems – hydroponics, drip systems, low throw sprinklers, centre pivots and spray units.